Another answer to prayer for the Central Africa Republic was noted today on the Water for Good Facebook page. 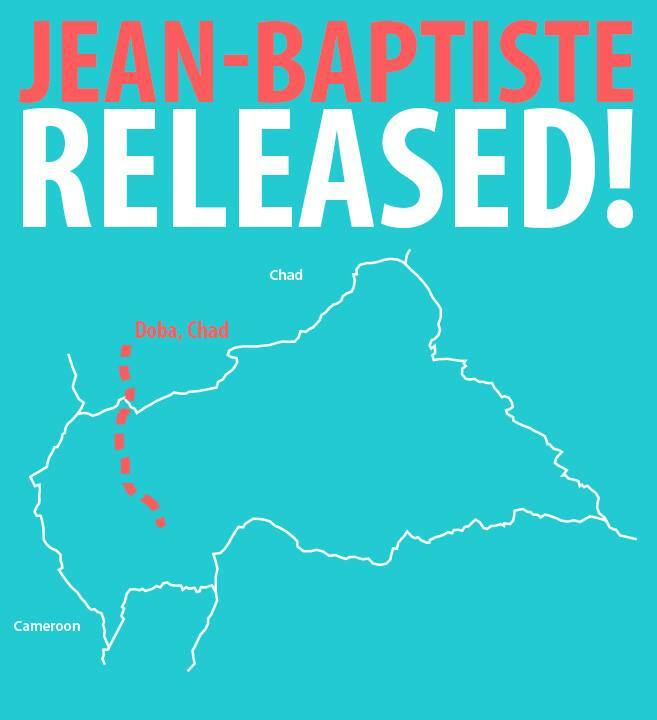 Jean-Baptiste, a pump maintenance team leader, was taken captive January 17 by Seleka rebels. They received word today that he had been released. Below is the post on Water for Good’s page. RELEASED! 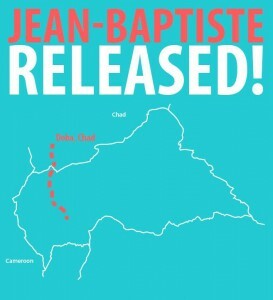 Jean-Baptiste was released today, in the town of Doba, Chad. Unfortunately, the rebels kept his truck, as well as his iPad and equipment, a devastating loss for the maintenance program, crippling Jean-Baptiste’s team, which will no longer be able to maintain the 200+ wells on their circuit (approximately 100,000 people depend on Jean-Baptiste and his team to maintain their water pump). We’re so thankful that Jean-Baptiste is safe, and are already working with contacts we have in Doba and the nearby city of Moundou to get Jean-Baptiste food, lodging, and transportation into neighboring Cameroon, where he’ll meet up with Marcellin Namsene, our head of water operations in Africa, who will help organize getting him back home to his family. Thank you all for your prayers, we’re so grateful for how this turned out, and that Jean-Baptiste will soon be returned home to his family.